Gravity Falls Mystery Shack Mystery? Are you ready to solve minor issues and find the way out of this adventure? Keep your sharp eye on the details and collect items. Are you ready to find the way out of troubles and collect items that will help you to do it. Well, this journey is for you then. Explore the chamber and start your adventure now! 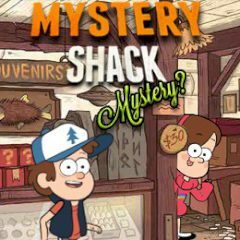 Games Similar Gravity Falls Mystery Shack Mystery?